TCS Careers For 2018 and 2019 Batch Freshers: Good news for the candidates who are exploring for the job. The Tata Consultant Services had disclosed the latest employment advertisement about the TCS Recruitment 2018-2019. These TCS Job Openings 2018 are for the fresher’s candidates those who had completed their education in BE, B.Tech, ME, M.Tech, MCA, Graduation and Post graduation. For the convenience of the aspirants, we are providing the current job openings in the next section of this page. There are many job openings in the TCS for various positions. 1.8 How To Prepare For TCS Recruitment Drive? 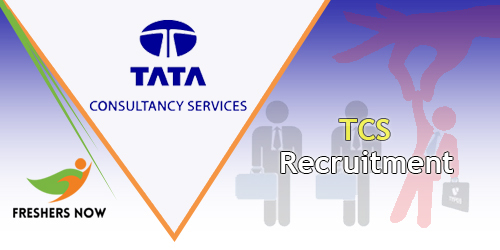 At present, a numerous number of candidates are working in the Tata Consultant Services and you are willing to become a part of it have to apply for the TCS Recruitment 2018 by checking the eligibility criteria. Only the contenders who are meeting the criteria announced by the authorities of the company have to apply in the online mode. The aspirants who had applied without meeting the criteria will simply be rejected by the company officials. Before starting the application process the candidates should be ready with all the details to fill the form. TCS Recruitment 2018-2019 is a wonderful chance for the candidates who are looking to get the job in the Dream company. Now the TCS had come out with a host of open profiles all across India. TCS is providing the Job opportunities for the fresher’s candidates in different categories. These openings are most benifitable for the aspirants who had pursued CSE and IT in their education. Most of the candidates are trying for the job in the Tata Consultant Services because they feel it as a permanent job. Getting the job in the TCS is not an easy task. Contenders have to work hard while preparing for the Written test. This test is to test the candidate’s knowledge. To prepare for the Written test/ Online Test the applicants can use the TCS Placement Papers in their preparation. The fresher’s candidates have to register by log into the TCS NextStep Portal. To help the candidates we have given a direct link in the beneath of this article. And aspirants can also find the steps to apply for TCS Recruitment 2018-209 in a detailed manner. Check it and complete the registration process before the links expire. If you can clear the TCS Innovator interview then you will get Product Developer Role. All India Test will be conducted to recruit freshers into TCS Digital Role job vacancies. A National Qualifier Test will be conducted to recruit candidates for the role of TCS Ninja. It is going to be conducted. This test is for 2019 batch freshers across India. When compared with TCS Innovator, TCS Digital and TCS Ninja, Salary offering will be less for TCS Smart candidates. TCS is also known as Tata Consultancy Services Limited. TCS Limited was founded in 1968 by a division of Tata Sons Limited. is an Indian multinational information technology (IT) service, consulting and business solutions company Headquartered in Mumbai, Maharashtra. It is a subsidiary of the Tata Group and operates in 46 countries. TCS has the ability to deliver high–quality services and solutions. TCS is an MNC Company which is now placed most valuable IT Services Brand worldwide. It is the 9th largest IT services provider by revenue and ranked as 64th overall in the Forbes World’s Most Innovative Companies ranking, making it both the highest-ranked IT services company and the top Indian company. TCS has become a Publicly Listed Company on 25th August 2015. In December 2015 the TCS is ranked as 10th on the Fortune India 500 list. Understanding nature of the Business Culture. Should have practical knowledge on various programming languages like C, C++, Java etc. Excellent communication skills, Analytical and logical thinking ability. Thorough understanding of issues while serving the problem. Identify, understand, and assess the requirements of the network system. Be able to solve any basic technical problems. In the written test the aspirants have to answer 30 questions and 1 Essay. Those who cleared the round with the good score will be called for the next rounds of the selection process as specified above. Visit the official website of TCS that is www.tcs.com. A page will redirect to search the job. Here enter all the fields by using the drop-down menu and proceed for search. Now the latest job openings will display on the screen with the applied filters. Pick the interested position and apply. Fill the form with the necessary details and finally submit. Note down the generated id and password for the future use. How To Prepare For TCS Recruitment Drive? You can prepare through the below provided useful material. Hope this page has given you the complete information about the TCS Careers 2018-2019. If any candidate going for the registration process refer the complete information equipped on this page. For more details keep visiting our website Freshers Jobs on regular basis. it is good for the new persons as an employee in some organization.